The term posterior periventricular nucleus refers to a group of neurons identified by Nissl stain in the posterior hypothalamic region. In the human the nucleus is located in the wall of the third ventricle, caudal to the arcuate nucleus of the hypothalamus, and rostral to the medial mammillary nucleus ( Saper-1990 ). 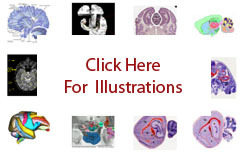 In the rat it is also medial to the premammillary nuclei ( Swanson-2004 ). Because it is very similar in appearance to the arcuate nucleus of the hypothalamus, some investigators question the value of considering it a separate entity (Saper personal communication). Functionally the posterior periventricular nucleus is part of the posterior hypothalamic region in the subcortical motor system ( Swanson-2004 ).